There's a simple answer to that question. 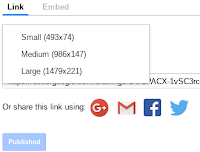 To share a single sheet or tab from a spreadsheet, you need to use the IMPORTRANGE function by creating multiple Google Sheets and then share. You will need a "Master Spreadsheet", with whatever name you want. For ease of explanation, mine is called "* Master Spreadsheet". 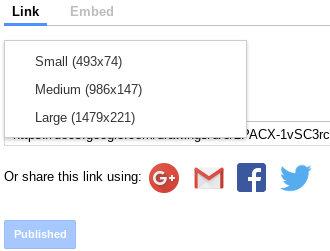 Next, you will need to create different Google Sheets that will have the data you want to share. Let's say I want to share photo data. 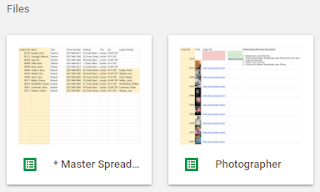 I'll call the spreadsheet "Photographer" (see Figure 1 for example). Now, use the IMPORTRANGE function on cell A1 as described on Figure 2. Fig. 2: Anatomy of the IMPORTRANGE function. When I learn something like this, it helps to have samples like the example above. In the samples, I highlighted all the instances of the IMPORTRANGE. Plus, I have added a few more functions or formulas to help. For all these, I will pretend to have the name "Last, First" in cell A1. I want the First Name in B1 and Last Name in C1. Sometimes, I want to display something that is two columns right and 3 rows down from an unknown location. That location can be based on a search. First: SHARE with who can see the image. For example, Anyone with the link can view. Let me know what helped. What functions do you use?